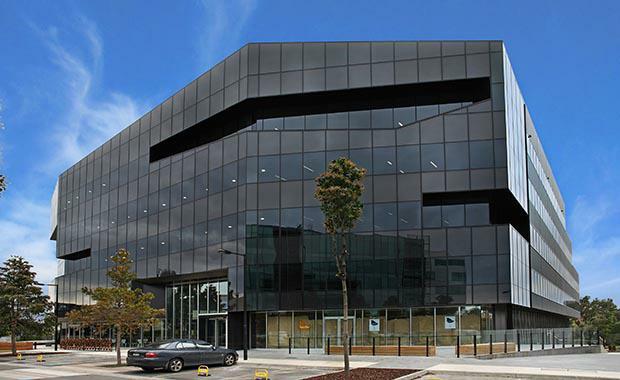 Astute investors are set to converge on Richmond for the chance to secure one of inner Melbourne’s premium, blue-chip office buildings within the Botannica Corporate Park. In conjunction with Justin Clarkson, Mark Coster and Mark Wizel of CBRE, Colliers International’s Jeremy Gruzewski, Peter Bremner and Leigh Melbourne have been appointed to market the building known as ‘B8’ at 576 Swan Street in Richmond on behalf of Botanicca 8 Pty Ltd, a joint venture of private investors. Agents expect the property to attract interest in excess of $45 million. B8 is a new, five-level commercial office building offering 8,338 square metres of A-grade office and retail space, 206 undercover secure car spaces and 11 grade car parks. The building, situated on a 4,499 square meter site, boasts an abundance of natural light, open terrace areas, impressive views and is designed for a 4.5-star NABERS Energy rating. “B8 is situated in a proven corporate location which will appeal to the astute investor focused on property market fundamentals,” Mr Gruzewski said. B8 is fully leased, including a long term lease to GE Capital Finance and an eight-year lease to Forever New, a fast-growing retail brand that was negotiated recently by Colliers International’s Travis Myerscough. The property provides a WALE of 7.3 years with the benefit of fixed annual increases guaranteeing income growth over an extended period. Mr Clarkson said the Botannica precinct was one of Melbourne’s core office locations, anchored by the Australasian headquarters of GE Capital and Golder Associates. “B8 is situated in one of the most accessible corporate precincts in Australia,” he said. “Richmond, boasting a city fringe location only minutes from the Melbourne CBD, is surrounded by parklands and the Yarra River, providing a perfect work and life balance. “Within the immediate area is an on-site gym and nearby is Burnley Golf Course, bike paths and walking tracks, gardens and parklands providing a leafy suburban backdrop to an inner city location which is not readily available in surrounding areas. Mr Gruzewski said B8 was one of few premium quality designed office buildings recently constructed in Melbourne. “Quality commercial assets in the Melbourne fringe office precinct are considered ‘blue chip’ from an investment perspective,” he said. “The scarcity of opportunities, strength of demand and low investment yields in the CBD have seen an increased interest in city fringe and suburban investments in recent times, particularly those that are strategically positioned and well leased. “In recognition, buyers are now widening the scope of their acquisition strategy and B8 is a standout asset in this market."